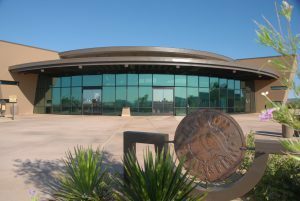 PHOENIX — The Arizona Game and Fish Commission Appointment Recommendation Board will meet at 9 a.m. on Tuesday, Nov. 13, to interview three candidates for the governor’s appointment to fill a 2019 vacancy on the Arizona Game and Fish Commission. The meeting will be held at the Game and Fish Department headquarters, 5000 W. Carefree Highway in Phoenix. An agenda has been posted at www.azgfd.gov/board, and the public is invited to attend. The following candidates will be interviewed: William Collins, James E. Goughnour, and Patrick W. Headington. They were chosen from a list of eight applicants considered by the board at its Oct. 23 public meeting. After the interviews on Nov. 13, the board will select at least two or possibly all three candidates to forward to Gov. Doug Ducey for consideration for the appointment. Per Arizona Revised Statute 17-202, the Arizona Game and Fish Commission Appointment Recommendation Board shall assist the governor by interviewing, evaluating and recommending candidates for appointment to the Arizona Game and Fish Commission. The board shall recommend at least two, but no more than five, candidates to the governor. The governor must select and appoint a commissioner from the list submitted by the board. For additional information about the Commission Appointment Recommendation Board, contact the Governor’s Office of Boards and Commissions at (602) 542-2449 or toll free at 1-800-253-0883 or on the web at www.azgovernor.gov.